We had a lovely, sunny day and a wonderful event with the usual community and friendly feel! We will update this page more over this week but in the meantime we would like to thank the 85 stall holders, the community artists and organisations that ran wonderful participatory arts all day, the 50+ performers, all those that led sessions in the have a go area, those running the wonderful environmental attractions/features plus the team of 40+ stewards! In the meantime, take a look at some of our pics. 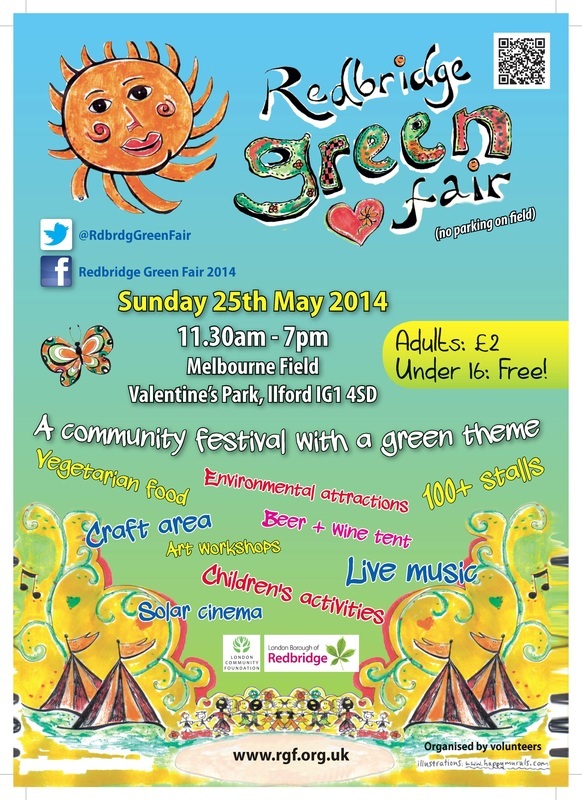 Please send us any photo or video content throughout the day to redbridgegreenfair@gmail.com, post to our Facebook page or send via twitter. Thanks again to our funders, the London Borough of Redbridge, London Community Foundation and Baxters Insurance.